Sharing of information is critical to national and international security. To enable effective and secure information sharing, military organizations have historically relied on classification markings. 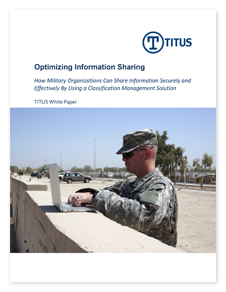 This white paper examines the challenges of sharing information in today's military environment, and introduces the many advantages of implementing an enterprise classification management solution.